I’ve been so looking forward to this post. There are just so many things I want to set straight. Don’t spoil my fun… read on! The Market Analysis section is, in my opinion, is typically the largest collection of wasted paper in a marina appraisal. Market analysis is very important… if done correctly. Sadly, I’d say less than 1 in 10 are. The boat industry encompasses the entire U.S. With somewhere between 7,000 and 10,500 marinas (depending on the source you ask), you’ve got a 1 in 7,000 to 10,500 chance that your subject marina will be impacted. ‘Sounds like slot machine odds to me. Increases in boat licenses may or may not translate into additional slip demand. The problem is that demand is spread out among all the marinas in the state, again given you long-shot odds of any impact. Many of the licenses will be used by boaters who do not fit into the market tier of your marina. The 20 foot boat would not be captured by your available 35 foot slip. Its a simple example of demand striation. It is common to see lots of county-level description, tables and sometime graphics. You might see a bunch of counties compared to your subject county. Maybe a discussion of the region. You can probably guess what I’m going to say… how much effect does any of that have on the subject marina? Incomes are great, but how much of that will translate into increased sales at the marina? Remember my “penny on the ground” analogy? Population is not relevant when all the growth is in a city and not in the subject town or perhaps within a certain distance from the marina, like 5-10 miles. Population per square mile… I don’t even want to go there unless there are squatters on the property. No one buys a marina based on population projections for the next 30 years. 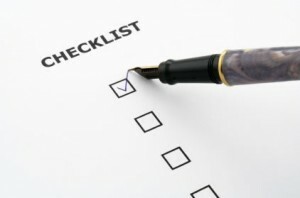 Private sector employers and largest company employers need to be used as boilerplate in the appraisal of some other property type. Employment by age is another useless category. If you’ve got a boat and want a slip, who cares how old you are? Subdivision lots and proposed commercial space for multiple counties is another loser. Built it and they shall come? So the Market Analysis section goes down in flames, right? No way! The key here is relevance, relevance, relevance. If the above could be brought back down to the point where they are relevant and have a direct impact on the marina or some part of the appraiser’s analysis, their use is justified; as you can see from the above, that’s not the case. So let me show you one example (of many) that works. 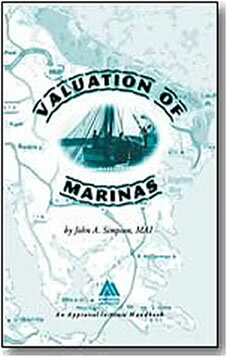 I was asked to appraise a marina in a small town in a lightly developed county. Population and incomes changed little from decade to decade. Employment was mainly in the farm sector. Seems like nothing to say. So I do a survey of all the marinas on the rivers adjacent to the town. When I divided the population by the number of slips, there was one slip for 83 percent of the population! Hmm… this is not a Polynesian fishing village. The obvious conclusion is that most of the financial support for the town and the local marina industry comes from outside the county. It’s time to put those county projections in the recycle bin. So then we look at the population growth in the town. No material growth. That means that long-term support will also come from boaters outside of the area. Now let’s take it to the commercial sector. It was easy doing a survey of every commercial establishment in town because they clustered along one “main street”. We find a coffee shop, multiple antique shops, a couple of bed and breakfasts and all the stores are local in nature. No Wal-Mart. One small community shopping center. Looking at the mix, there is almost nothing that is marina-oriented, yet most of the town income comes from boaters and residents who are boaters. It may be a pretty sleepy town, but this is good news for the commercial businesses at the marinas… especially the waterfront restaurant and bar at the subject. I could take this example further or throw in more examples, but I think the point is made. As a reviewer, this is the type of market analysis that is useful. When you “paint a mental picture” in the mind of the reviewer, you’ve done a good market analysis. The Market Cries Out – Are You Listening? The example above points out some useful relationship the appraiser can use throughout the valuation section. But that’s like listening to the whisper in a crowd of voices. There’s the big picture I call the Competitive Survey. You don’t see many of these in marina appraisals for two simple reasons: they take time and effort. I love to do them because I learn more in a day or two talking to marina owners and managers than I do from reading marina magazines. When you do the legwork and then grid up the results, you’ll find lots of patterns you can hang your hat on in the valuation. Using the example above, I visited all the marinas and put their physical characteristics in a grid. I also added a column for summer occupancy and year-round occupancy (this was a seasonal marina). I also put rental rates into three tiers. Behold! Striated demand! 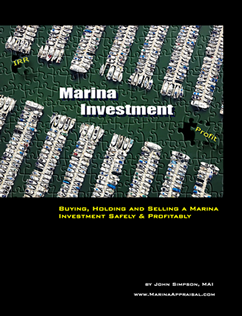 I could see what features the market demanded from the occupancy rate tiers, how important boat repairs were to occupancy and rates, compare sailboat to power boat marinas in terms of occupancy and rates, and plot out location patterns (i.e. which marinas were the most convenient and capturing the most demand). So then I plot the subject among these marinas. Just like making a ranking grid, I now knew the market rate and expected occupancy rate of the subject. Comparing that to historical occupancy and rate changes for the past several years, I’ve not gleaned even more useful data. Again, I could go on with this example, but ’nuff said. Again, it boils down to relevance. In other words, it’s about submarket and competitive analysis. Anything else is just boring reading for a reviewer. In Part 4, we’ll cover the relevant marina nuances of the Site Description. Stay tuned!